moths, cockroaches, flies, ants and mosquitoes. Common Names: Bachelor’s buttons or Feverfew. each watering. During the winter months, reduce wtering. Apply a standard liquid plant fertilizer once a month during the spring and summer growing season. use as required or dry and store in an airtight container. cuttings taken in the summer. Division in spring. treat with an insecticidal soap. First of all, it is a traditional medicinal herb which is mainly used to prevent migraine headaches. 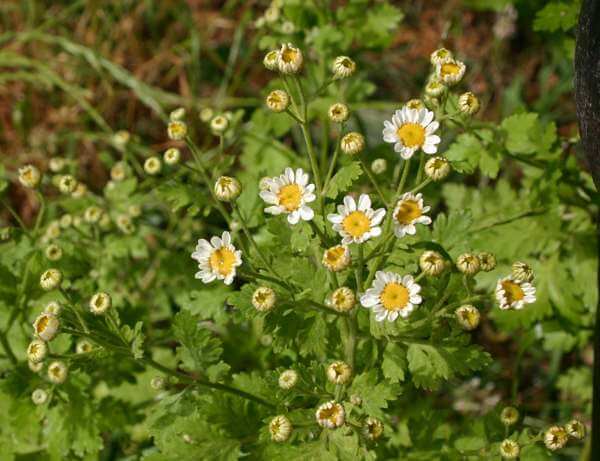 Clinical trials have shown that taking 2 leaves of feverfew per day reduces headache assaults. The oil from the leaves can act as an insect repellent. Feverfew can be eaten as the fresh leaf, made into a green leaf tea or dried for later use as a tea.